The Russian space agency announced that they are planning to build a nuclear powered rocket for missions to Mars. The chief of the Russian space agency, Anatoly Perminov, said the preliminary designs for the rocket will be finished in 2012 and in total the project will take nine years and almost $600 million to complete. 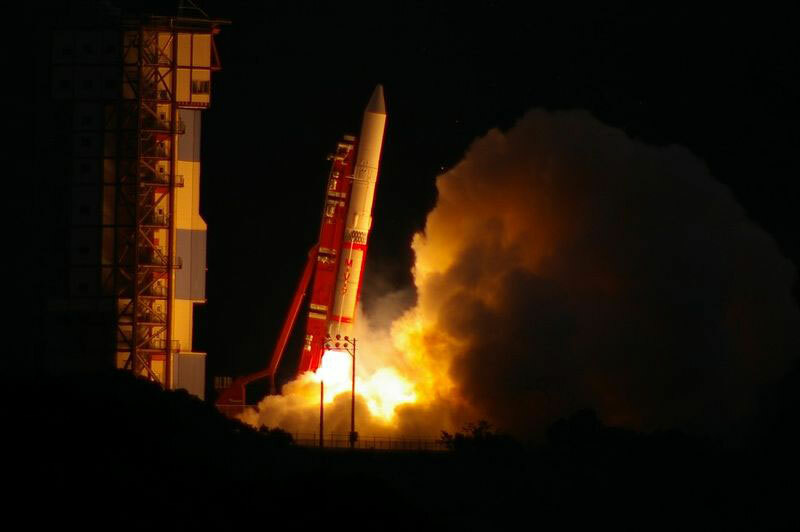 The relatively light-weight nature of a nuclear-fuel system makes missions into deep space more feasible, yet the fear of a launch explosion has the international community alert with fears of a possible world-wide nuclear radiation emergency. With the US shutting down its shuttle program it looks like the Russian space agency — referred to as Roscosmos — is stepping up the pace of its space exploration. “The implementation of this project will allow us to reach a new technological level surpassing foreign developments,” Mr Perminov said in his announcement. Perminov noted that the rocket would be used for manned missions to Mars and the Roscosmos website mentioned that further goals would be to create “planetary outposts”. Russian president Dmitry Medvedev has backed the program and is pushing the Russian government to find the money to complete the program. Some previous Soviet spy aircrafts used small-scale nuclear reactors to power their flights, but the Russians are looking to have a megawatt-scale nuclear reactor in this new rocket that would power an on-board electric engine. The idea for the aircraft dates back to the 1960’s when Roscosmos first pushed forth plans for a nuclear-powered rocket for missions to Mars. In deep space, the Russians say, nuclear reactors would be twice as efficient as conventional engines and would open up a galaxy of options for space exploration. A new warp prototype technology exists that will make deep space probe exploration easier and can work with any other exiting propulsion system. To get the news on that follow @WarpDriveHere on twiiter.com. Solar power doesn't work in space after you get past the Asteroid Belt and fuel cells only last a few weeks (which is why the Space Shuttle never stayed in orbit for more than 17 days or less). RadioIsotopeThermoelectric Generators can power probes for years or decades but no where near as much power can be harnessed as the others. Only nuclear power can reliably power deep space, long term, lengthy voyages. Even NASA valued the idea of building a reactor (not those RTG things) for a huge space probe that would explore all of Jupiter's Galilean moons including Europa which shows evidence it may have liquid water under the ice (why the hell are we exploring Mars????). As for safety, when Apollo 13 returned to earth, it's RTG which was supposed to stay on the moon, re-entered the atmosphere and survived the impact of the reentry temperatures and crashing into the ocean. Scientists found the device on the sea floor and even after all this time, it is not leaking any radiation.